Beads of sweat formed upon my knitted brow as I inserted a new battery into the battery holder. The top was placed onto the base. NOTHING happened. There was no sign of life in the rotating box. A second passed. Another second passed. Still nothing. 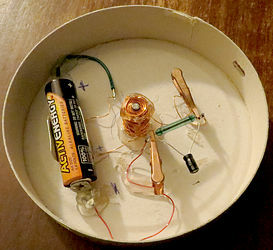 I changed the orientation, I spun the box by hand, I willed it, through force of mind, to spin. Nothing happened. How DARE it not respond to my mental commands. Apparently, the circuit would run on ONE VOLT, and no more. 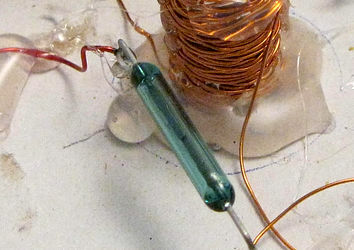 The reed switch was latching. wouldn't switch off. What could cause this?? 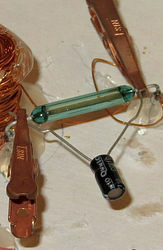 The addition of a 4.5 mmfd electrolytic capacitor in parallel with the reed switch solved the problem. 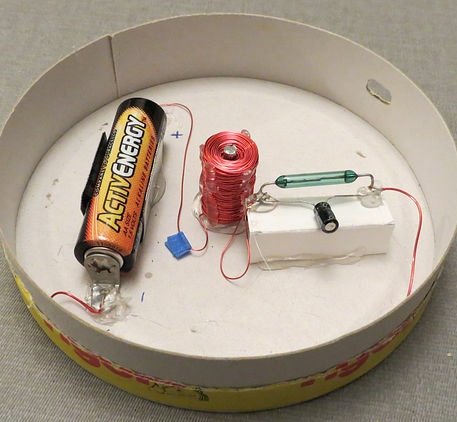 The coil and reed switch function much like a distributer and spark plug coil on an old car. 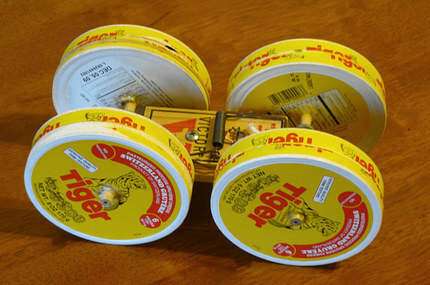 Distributers had a "condenser" (capacitor) to keep the points from burning up. I added the capacitor and it stopped the reed switch from latching. The "production model" was made in two hours. It worked the first time. Tip: The battery could be moved further to the left. 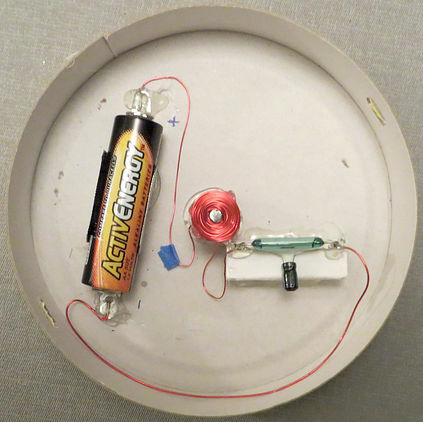 You don't want the magnets to be attracted to the battery. HEY! Have any extra cheese boxes? 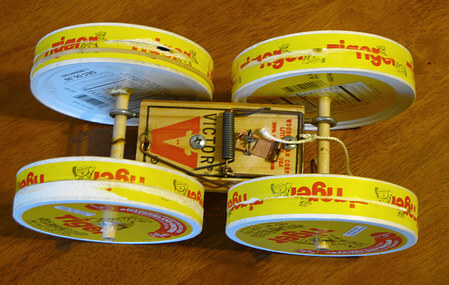 Make a mouse trap powered car!